Updates to Nancy A's profile since your last visit are highlighted in yellow. Divorced from Mike Henderson in 1987. My dear husband, Bob Bené died in 1995. Michael, born 1966, married to Kara, is the father of Skyler born in 2009. Margaret, born 1969, More…married to Rob Pierce, has 2 children, Brewster born in 2003 and Willy born in 2009. Eleanor, born 1985, adopted and arrived from South Korea when 4 months old. Eleanor and her boyfriend, Patrick, live in Seattle. I recently bought an old house here in Duxbury, a town incorporated 1637 and just north of Plimouth where the Pilgrims first settled. My house dates from 1764 and was built by Captain Wait Wadsworth who became a captain in the Revolutionary War. I am now involved in (observing, consulting and paying for) extensive renovations. Two days ago, my contractor found that half of the house does not have a foundation and rests on wood planks about 1 to 3 inches above the dirt. So next week, the house will be lifted up onto steel planks and moved off its location so that dirt can be dug out and a 4 foot foundation can be poured. We will also construct a new addition and a garage attached to the back and side of the original house. You can correctly predict that I will be improvished by the time of the reunion. University of Illinois, BA, 1967. University of Texas at Austin, MS, 1989. University of Texas at Austin, PhD, 1995. Nancy A Groene Bené added a comment on Profile. Nancy A Groene Bené posted a message. 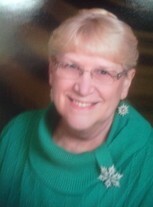 Linda M Wilt Free posted a message on Nancy A Groene's Profile. Happy birthday Nancy. I hope you have a great day and stay inside all cozy and warm. Nancy A Groene Bené has a birthday today. Nancy A Groene Bené has left an In Memory comment for Louis H Dilulio. Mr. Dilulio was the band teacher at Coolidge Jr. High before he moved to that position at MHS. I played (or tried to play) the flute. Even though I wasn't very good, Mr. Dilulio was nice to me. Nancy A Groene Bené has left an In Memory comment for Profile. I am very sorry to learn of Marcia's death. She and I talked about a month ago and she and I talked about the cancer. I meant to call her back. About a week ago, I was reminded of something that happened in Mrs. Roman's third grade class at Lincoln School. Marcia and I were classmates. And I thought that I would call Marcia and reminisce with her about Mrs. Roman and some of our classmates. But I didn't get around to making the call and I'm sorry. Carol was a nice girl. At one of the reunions, she told me about being a single mom when her kids were young. I asked how she did it and she said her mom helped her out a lot. Nancy A Groene Bené posted a message. New comment added. Hi Gail, Glad to see you. I remember sitting next to you and chatting at long ago reunion. Would like to continue the conversation. Nancy A Groene Bené has left an In Memory comment for Jack Coder. Mr. Coder was one of the important people in my life who spurred me on to think for myself and to think critically. When I took civics from Mr. Coder one summer, he raised the issue about intermarriage of blacks and whites. I was raised in a conformist family, but after thinking about Mr. Coder's question for a day and a half and going over as many elements of the issue that I could identify, I came to my own conclusion. I can't tell you how many times thoughout my life so far that I've referred to Mr. Coder. Nancy A Groene Bené has left an In Memory comment for Robert S Early. Mary Jane and Barbara, I don't remember Bob Early at Lincoln School. It's probably that I just don't remember him or maybe he was just a quiet kid who didn't live in my neighborhood. But I moved in the middle of 5th grade. Nancy A Groene Bené has left an In Memory comment for Michael J Warren. Lana, I think it's excellent that the Moline Foundation will administer the fund. I look forward to knowing more about who will receive the scholarship money. And I will donate. Who would be charge of the money donated to the scholarship fund? Should there be legal and ethical qualifications for the those in charge of the scholarship? If the amount donated were large enough, would that money be invested so the realized interest or investment income could be doled out for a number of years or in perpetuity? Or would the whole amount or a prescibed portion be awarded annually to a new recipient or a number of recipients? Forever or until the money ran out? Or would that money be donated directly to a particular college or university? Can I assume the money in the scholarship will be given to a student to help pay for tuition or other expenses incurred while being educated? Tuition for high school? a private high school? A college or university? Most colleges and universities already have in place various scholarship funds which anyone can donate to and will be awarded by the college or university. Sharon Hutton Helgason (our classmate) wanted donations to go to a Augustana female student pursuing a degree in mathematics or science. I made the donation to Augustana in Sharon's name and Augustana took care of the rest. Which college or university? Where did Mike Warren go to college? And what would be the recipient's or recipients' qualifications for receiving the money? Would there be a competition for thescholarship money or would someone in the class of MHS 1962 or a group just pick the recipient of the scholarship money? There are a lot of financial, legal, and ethical considerations in setting up a scholarship. And any responsible person considering a donation will want to know all the answers? And all those responsible for the scholarship must have the legal, financial and ethical qualifications to administer the fund. I remember Mike Warren and how tall he was and nice looking, but I really did not know him. (Remember I was a Coolidge girl.) But from everyone's memories of him, I bet if Mike had lived, he would become knowledgeable enough and sophisticated enough to understand that all these issues must be attended to before anyone starts to send in money for a Mike Warren scholarship fund. Nancy A Groene Bené has left an In Memory comment for David J Ekstam. I think Penny's memory of being acknowledged by Mike in the halls of MHS so many years ago, demonstrates the lasting meaning of simple kind actions toward others. Happy birthday Nancy. It's almost over. I hope you had a great day! My mailbox is on the right. My nice neighbor dug out the boxes and area in front so postman can get to the boxes. My little dogs, Frances and Zoe, like snow when they can walk on top of it. When the snow is light and dry, they sink. My patio----you can see the top of retaining wall and my bird feeders. My barn needs work which is my project for 2015! My grandsons, Brewster age 11 and Willy age 6, with my little dogs, Zoe and Frances. I bought this cute little house. It was a mess inside. The 1950s addition to the back of the old house is unsightly and very poorly built. The addition has to go. My 9-year-old grandson Brewster loves the teardown and the mess. Bull dozing the 1950s additon.